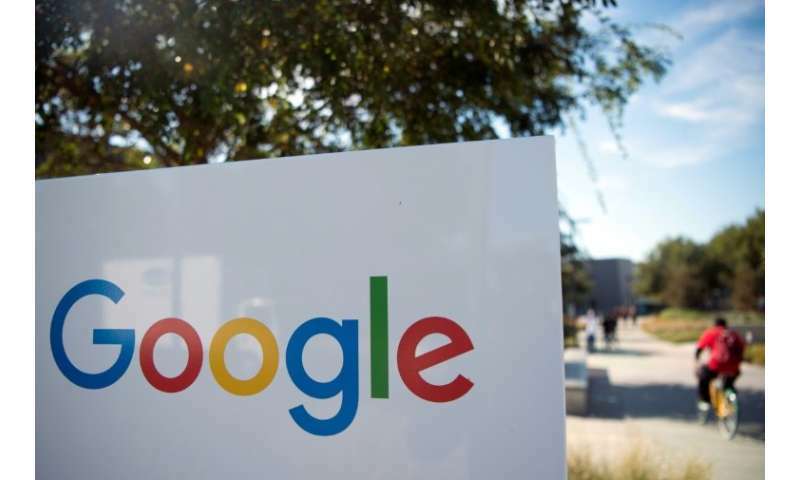 Google on Tuesday launched a new version of its connected speaker with a touchscreen display designed to be a hub for smart home devices but without a camera for privacy reasons. The Google Home Hub, competing against Amazon's Echo Show, was unveiled at a New York media event at which the tech giant also announced its upgraded Pixel 3 smartphone and a new tablet computer dubbed Pixel Slate. The new speaker, to be sold for $149, is powered by Google's smart digital assistant and is designed "to get the state of the entire home" by connecting to other smart devices, said Google vice president of product management Diya Jolly. Jolly said the Home Hub, with a seven-inch screen, will allow users to access a "dashboard" that can be used to control any of several thousand internet-connected devices or appliances. "You can turn down the temperature in the bedroom and turn up the music in your living room" using the screen, Jolly said. But unlike the Echo Show and a new Portal chat device unveiled by Facebook, the Home Hub won't have a camera, Jolly added. "We consciously did not put a camera on the Hub so you can use it in private spaces like your bedroom," she said. Google also showed its new Pixel 3 and Pixel 3 XL smartphones, with upgrades including edge-to-edge screens that offer more display space without increasing the size of the handset. The 5.5-inch Pixel 3 will sell from $799 and the 6.3-inch Pixel 3 XL from $899. Google's new Pixel Slate unveiled Tuesday brings "the power and productivity of a desktop to a gorgeous tablet," according to senior vice president Rick Osterloh. Osterloh said the new devices were designed to take advantage of Google's development of artificial intelligence. "The big breakthroughs come at the intersection of AI, software and hardware, working together," he said. "This approach is what makes the Google hardware experience so unique, and it unlocks all kinds of helpful benefits." The Pixel includes improved tools aimed at limiting screen time and allows parents to control device time for children. While Google has been ramping up its hardware efforts, its smartphones have captured less than three percent of the global market, according to surveys. However, Google appears to be catching up with Amazon in the race for connected speakers. One survey showed the Google Mini to be the top-selling speaker in the second quarter of 2018.